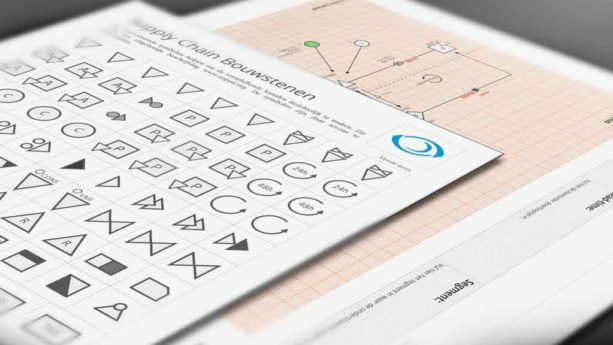 Supply chain symbols - A practical guide to map your supply chain. 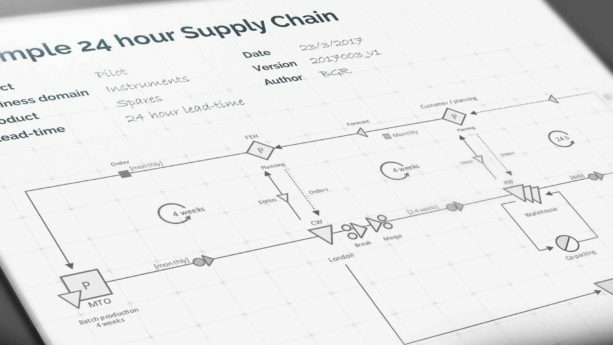 A practical guide to map your supply chain. In our day to day business we make use of mapping the supply chain. It is one of our first steps before we proceed in the project. It gives a good insight in the supply chain of our client and it helps in understanding the current structures and processes. In analyzing and modeling supply chains it is crucial to have a common understanding of the structures and processes. However, many textbooks, introductory articles, or presentations begin with a sample diagram or symbol representation of a firm, linking to one or more symbols in either direction, representing customers and suppliers. This holds out two enticing possibilities: (1) that real life networks might be formally mapped, and (2) that such a graph will enable the understanding of the system. Lillienfeld (1978) even argues that all system thinking is built on the idea of diagrams purporting to show relationships between entities. However, there is no consistent way of representing supply chains. The examples are usually either simplified or figurative rather than specific. 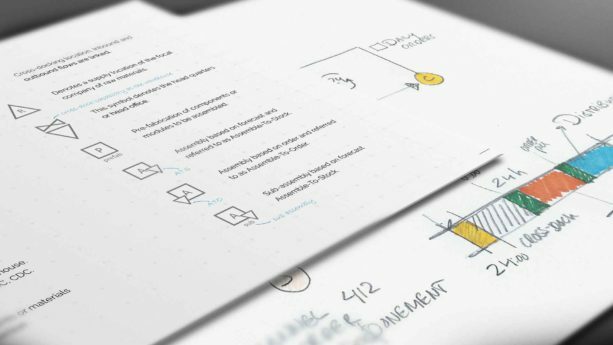 In our projects and daily work we fully appreciate the powerful advantage of mapping a process, a supply chain, unraveling it by distinguishing the actors, activities, services, and resources. So consider this to be a first small step towards this common vocabulary. As an example we present a few symbols that are in the symbol set with some additional information. This symbol denotes a warehouse or distribution center and in addition functions as a cross-dock location. In some cases we also depict several locations with a single symbol (for example multiple suppliers). The number of locations is indicated by the bracketed number on the lower-right hand side. This symbol denotes a supplier location of spare parts. In addition the index denotes the number of suppliers. In this case 2. Interested in the supply chain symbols? Feel free and use them for mapping your supply chain. Download the overview below or email us and we send you our little notebook which includes the symbols and some examples.